When a student authenticates, the ID appears on the lock screen. Following the pop-up, it will then have the user verify identity with Face ID or Touch ID, in the same fashion as an Apple Pay transaction. The technology is the same one that Apple used at the 2018 WWDC for attendee authentication. "iPhone and Apple Watch have brought us into a new era of mobility, helping to transform everyday experiences," said Jennifer Bailey, Apple's vice president of Internet Services. 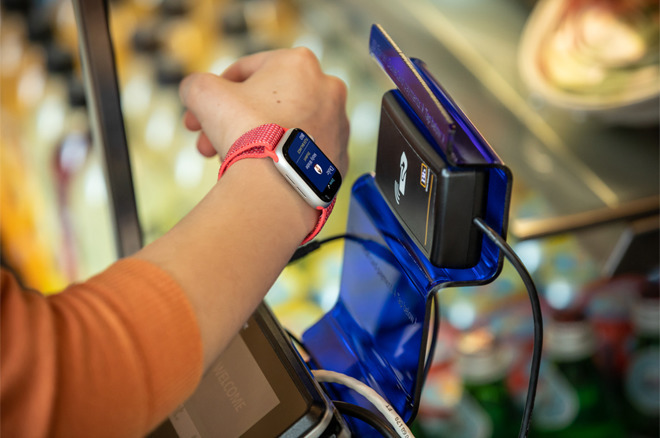 "When we launched Apple Pay, we embarked on a goal to replace the physical wallet. By adding transit, loyalty cards and contactless ticketing we have expanded the capabilities of Wallet beyond payments, and we're now thrilled to be working with campuses on adding contactless student ID cards to bring customers even more easy, convenient and secure experiences." The launch of iOS 11 brought Core NFC, a framework that lets developers tap into iPhone's onboard NFC chip to scan NFC Data Exchange Format (NDEF) data tags. In the iPhone XS family, Background Tag Reading will automatically read NFC tags, and deliver the data it collects to the appropriate apps —which Apple notes can speed identification process at supporting universities. The changes to Core NFC are a continuation of Apple's efforts to open up the technology for other uses. In Apple Park, Apple employees are already using iPhones and Apple Watches to unlock doors via NFC, something highlighted in the September event's opening skit. Johns Hopkins, Santa Clara and Temple Universities will bring the capability by the end of this school year.